The California State Fair returns next Thursday, July 12th to Cal Expo. 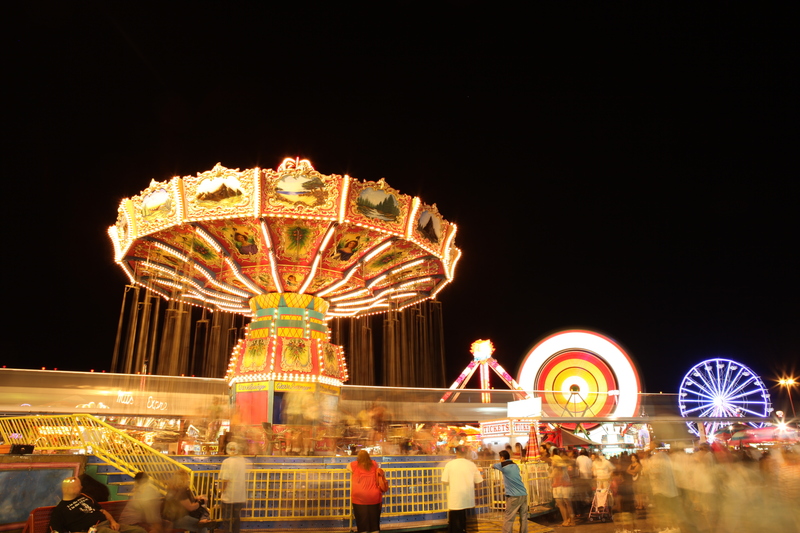 The Fair returns with attractions and exhibits including Wizard’s Challenge, Birds in Paradise, Toytopia 2.0, and the Sun-Maid Centennial Exhibit. Evening concerts are also scheduled with performances by The Cheeseballs (7/14), Rick Springfield (7/19), Landau Eugene Murphy, Jr. (7/20), Scotty McCrerry (7/21), Harlee and the Sugar Daddies (7/29), and more. The Kids Park and Magical Midway will also be open, along with events in the Exhibition Buildings and The Farm. Live Horse Racing – Thoroughbred, Arabian, Quarter Horse, and Mule – will take place at the Miller Lite Grandstand also returns to the Fair from July 12-15 and July 19-22, with the first race at 1:45pm on Thursdays, Saturdays and Sundays (3:45pm on Fridays). Fans can gather at 1:00pm daily (3:00pm on Fridays) prior to the race and be escorted by Cal Expo staff on to the racetrack near the finish line for a presentation related to the make up and maintenance of the racetrack. All attending guests will be able to take a small handful of the racetrack surface with them as a free souvenir. July 7, 2012 in Cal Expo, Event, Fun, State Fair.